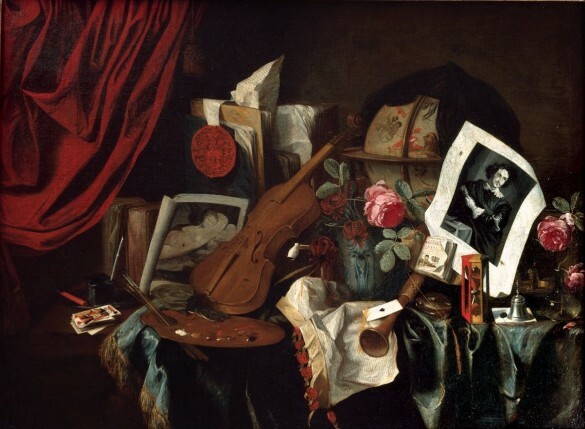 Jacques De Claeuw, Vanitas (1677). Photo: courtesy the Cummer Museum of Art and Gardens in Jacksonville, Florida. There’s good news for the Cummer Museum of Art and Gardens in Jacksonville, Florida, which will be able to keep an important piece of its collection, a Dutch Golden Age painting looted by Nazis, reports First Coast News. First purchased by the Cummer from a New York gallery in 1962, Jacques De Claeuw‘s Vanitas (1677), a striking still life, has been among the collection’s highlights ever since. “In 2011, as part of our 50th anniversary, this painting was actually voted by our visitors as one of their 50 favorite paintings in the museum, so it means a lot to this community,” chief curator Holly Keris told First Coast. Two years ago, the painting’s illicit history came to light: before the Nazis invaded the Netherlands in 1940, Dutch art dealer Jacques Goudstikker fled the country. He died at sea, but left behind a detailed inventory of his art collection, 1,400 pieces of which were stolen from his gallery by Nazi leader Herman Göring. When Goudstikker’s daughter-in-law, Marei Von Saher, traced the 17th century work to the Cummer, she called on the museum to return the painting. In April, the institution’s board of trustees voted to do just that. The two parties have since reached an agreement allowing the Cummer to purchase the painting in part thanks to a gift from the family of Goudstikker, made in his memory.